My house always feels a little dull after the holidays are over and winter sets in. All the sparkly decorations are gone and things start looking a little boring. Once the weather warms up and spring approaches I'm always ready for something new. That's why I was so glad when Coupons.com reached out to me and several other bloggers to hear about our favorite spring trends. When I think of spring I automatically think of bright colors. So I decided to add some color to my otherwise neutral living room. I think most of us try to refresh and brighten things up this time of year. I'm loving yellow right now, particularly a bright lemony shade of it. So I took that thought and ran with it. First I went to Coupons.com and searched for Amazon coupon codes. Actually, I always check for coupon codes before I purchase anything online and I'm usually able to save some money. Then, I browsed Amazon for pillow covers. I didn't see any ready made ones that I liked so I decided to make my own. I chose this fabric with this trim for two of them and then this fabric for the other one. I added zippers to them so it's easy to slip them on and off when the seasons change or I'm ready for something different. Fresh flowers are another great addition for spring! I love the citrusy yellow paired with a more natural trim. Now for the fun part. 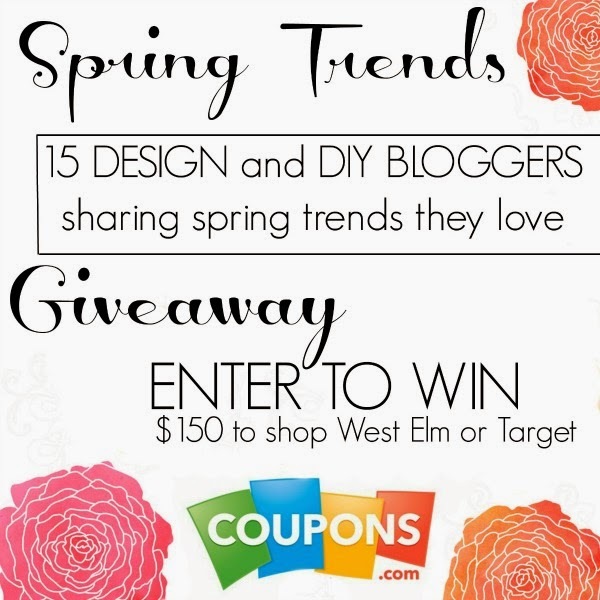 You have a chance to win a gift card to West Elm or Target! Two of my favorite places. Just use the form below to enter. This giveaway will end on April 7th. Be sure to check out the other spring updates from these other lovely ladies too! 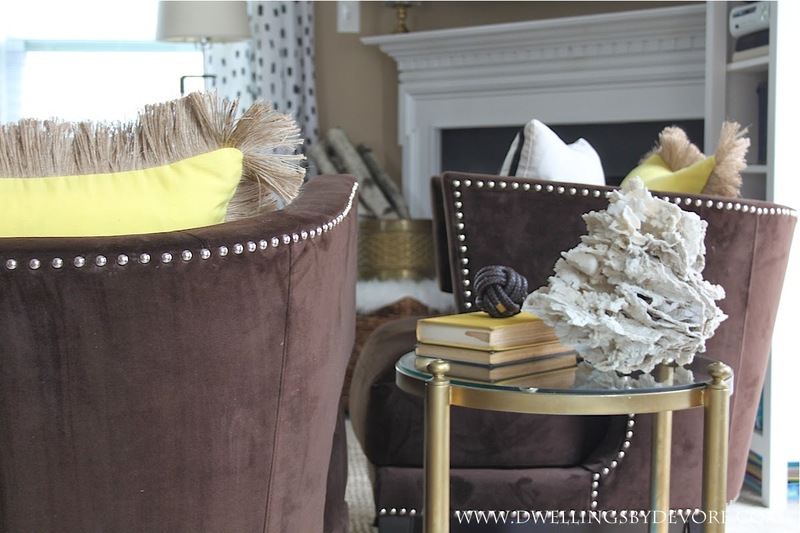 LOVE the touches of yellow and that trim is so fun! FYI- your rafflecopter isn't showing right. 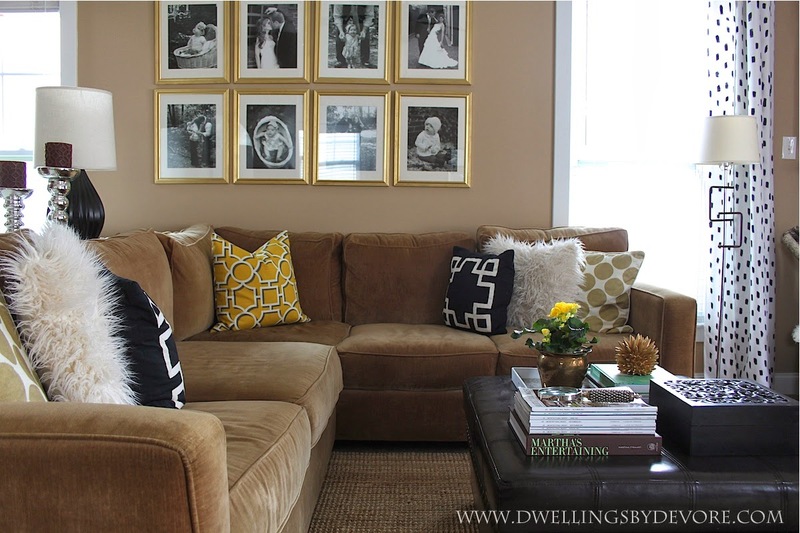 That citrus yellow pillow adds such a great pop of color! LOVE West Elm. Quickly becoming one of my favorite stores! Really like how you incorporated the yellow without it taking over the space! Could totally use this to spruce up my home too!! Love the trim on that yellow pillow. So fun!! I use yellow for my summer home look and I love it, but for spring I'm going for GREEN and gold (sounds Christmasy right?! ), but I'm excited to start. Thanks for the contest! What a fun color to add to your room, and great choice on the interesting trim! would love the west elm gift card for baby boys nursery! The yellow adds the perfect punch for Spring! Pretty, Bethany! I love how the yellow makes everything look bright and cheery. 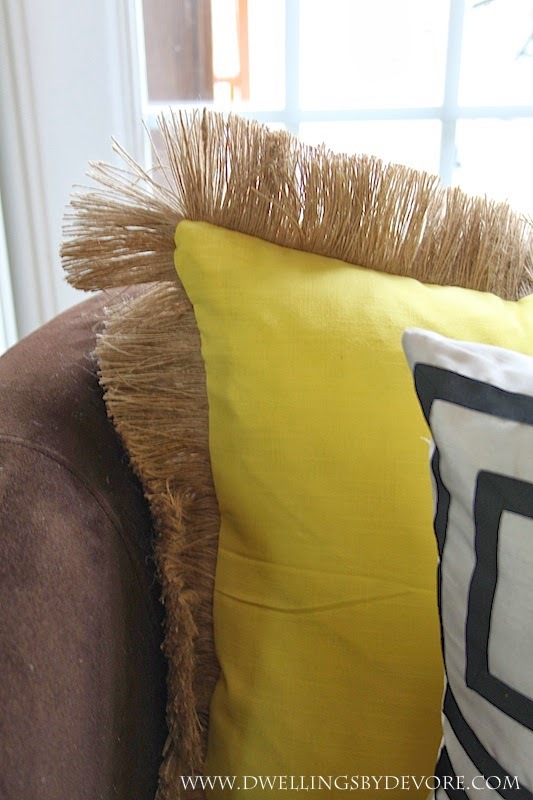 Love the yellow pillows, especially with the natural trim!! Bring on Spring! Cute! 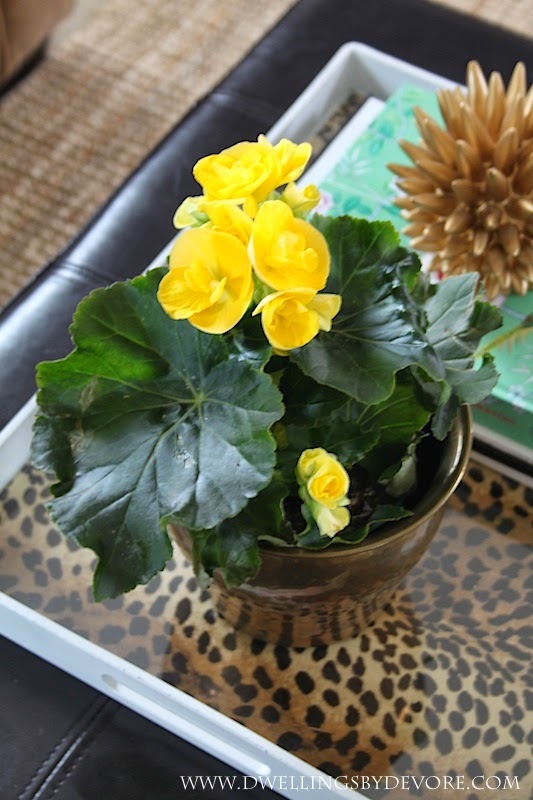 I just planted the same yellow plant in a brass container - I love that look! I just found a new gold lamp to add a little Spring Bling to my living room. Next up: some new throw pillows! Thanks for the inspiration! Unbelievable the difference the yellow makes to brighten the space. Nice choice with the trim, also. Two thumbs up! I love the yellow! So fresh looking! Great job!!!!!! I love all the bright colors with the natural elements! Love all the inspiration! Makes me want to get busy! 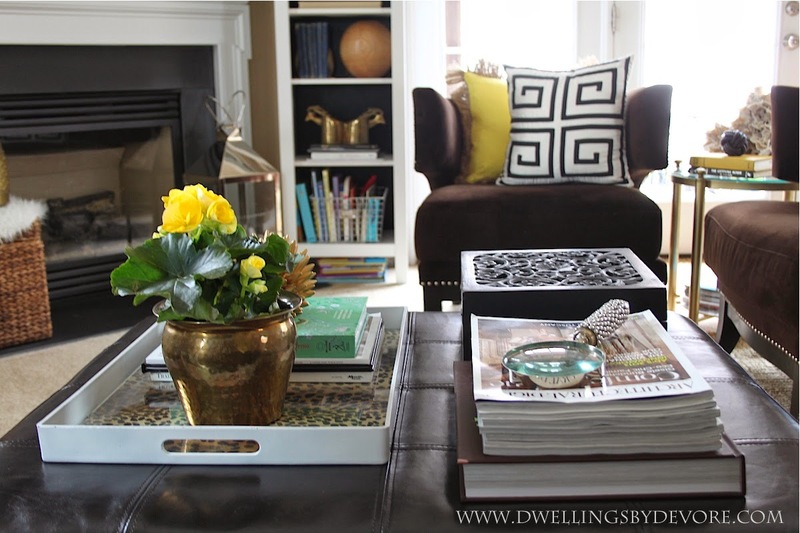 You can always count on yellow to bring spring into your home! What a beautiful shade of yellow! Love the pop of color. Such cheery updates! 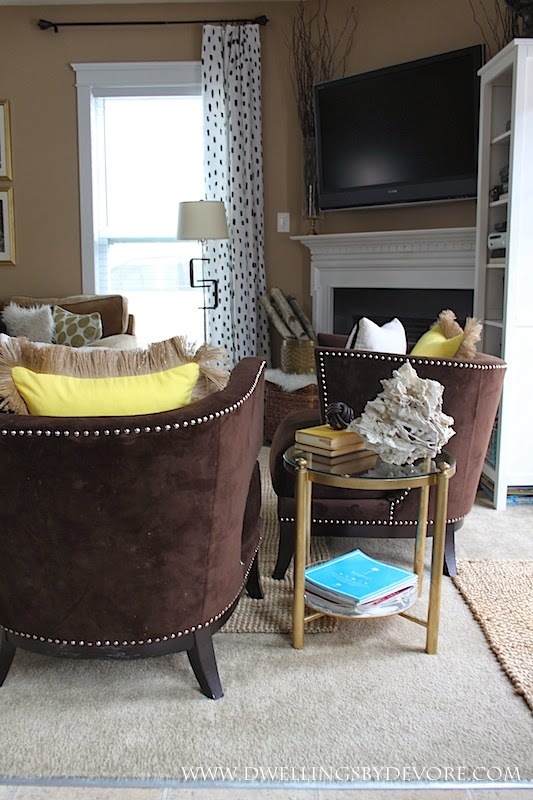 Love the fringe on that yellow pillow!